An amazing, exceptional keynote. Relevant breakout sessions. Valuable networking with colleagues. The energy of being around like-minded individuals. And the fun premiere of The Givers band! These were reflections from some of the over 300 participants at our 2018 conference, Inspiring Excellence in Philanthropy, which was held June 7-8 at the Indianapolis Marriot North. Attendees represented a broad cross-section of our sector who came to network and learn alongside their Indiana colleagues. A huge thank you goes to all the presenters for their thoughtful content, the generous sponsors, the helpful and willing volunteers, our supportive board members, our amazing and dedicated staff, and everyone who attended. The active engagement, enthusiasm, desire to learn, and spirit of camaraderie we witnessed throughout #IPACON18 was an inspiring illustration of philanthropy seeking excellence in order to transform Indiana. Paul Schmitz, our keynote speaker was a huge hit. Paul is a senior advisor to the Collective Impact Forum and the author of Everyone Leads: Building Leadership from the Community Up. He is also the former CEO of Public Allies, where he spent 21 years helping more than 5,600 diverse young leaders turn their passions to make a difference into careers working for community and social change. IPA members and conference attendees can access Paul's slides under the RESOURCES tab above. IPA members and conference attendees can access conference handouts, worksheets, and slides under the RESOURCES tab above. Go here to view our photo album. During the final day of #IPACON18, we recognized the following individuals as outstanding leaders in philanthropy. Go here for the press release, which includes a video message from Senator David Long. Senator David Long (R-Ft. Wayne, IN) received the 2018 Public Policy Champion of Philanthropy award. Betsy Bikoff, Betsy Bikoff Consulting, was the recipient of the Hazelett Award for Leadership in Grantmaking. Margarita White, program director at the Community Foundation of Noble County, achieved the Spirit of Youth Philanthropy Award. One of the highlights of #IPACON18 was our collaborative poem, written by poet, creative writer, and University of Indianapolis professor Kevin McKelvey. McKelvey created this poem using keywords, questions, and insights gathered from IPA members by Indiana Humanities and Big Car Collaborative during the first day of our conference. The poem was then read by IPA members during our closing lunch. Go here to see our poem and to watch a video of our members reciting it. You can even download shareable graphics featuring excerpts of the poem. During our opening reception, attendees were blown away by some very talented IPA members who came together to form the first-ever IPA band—The Givers! See photos from their performance and watch our videos here. Special thanks again to our presenting sponsor, Goelzer Investment Management, for their generous support! We also thank our many other sponsors, which can be found under the SPONSORS tab above. It is not an understatement to say that IPA could not have provided the quality programming, marketing, mobile app, and low registration fees without the generous financial support of these sponsors. 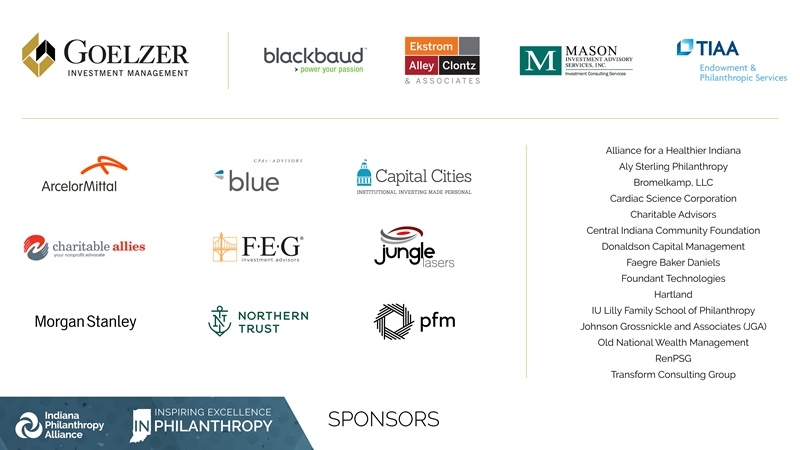 When you require services from companies like theirs, we hope you’ll consider our sponsor partners who helped make Inspiring Excellence in Philanthropy possible. Come pick up your name badge, program, and other conference materials at the IPA registration desk. Where is the leadership we need to solve our most pressing community problems? It’s all around us. In this keynote address, Paul will inspire us to see new leadership possibilities with ourselves, our sector, and our communities. Paul will offer a set of practices that will help foundations be more effective and bring diverse people and groups together to solve problems. Through his consulting firm Leading Inside Out and his role as senior advisor to The Collective Impact Forum, Paul builds the collective leadership of organizations and communities to achieve greater social impact. Paul is the author of Everyone Leads: Building Leadership from the Community Up, and the former CEO of Public Allies, where he helped more than 5,000 diverse young adults begin careers working for community and social change. Paul is a faculty member of The Asset-Based Community Development Institute, was a social innovation advisor to the Obama White House, and has been named three separate years to The Nonprofit Times list of the 50 most influential nonprofit leaders in America. He lives in Milwaukee, Wisconsin, with his wife and five children. Everyone has the capacity to step up, take responsibility, and work with others to make progress on the issues they care about. Following his keynote address, Paul will facilitate a fascinating conversation with leaders from the faith-based, nonprofit, and public sectors on taking personal and social responsibility to work with others on common goals. Realizing that reaching your goals often requires working with partner organizations, you will have an opportunity to learn “what’s up” with a few of philanthropy’s go-to partner organizations. During two 20-minute sessions, participants will hear brief updates from and ask questions of organizations supporting family economic security, community economic development, rural communities, healthy communities, and workforce development. The opening lunch will primarily be an opportunity for you to network with your peers but will include a brief IPA "year in review", including highlights from GIFT and YPII. All grant decisions are shaped by values—community values, institutional values, and personal values. Some grantmakers have clearly stated values and criteria while others do not. Some values are commonly accepted but unstated. Some values are stated but rarely practiced. Inherently, these values inform the way we practice philanthropy—in our priorities, adjudication, and evaluation. But rarely do we reflect on how they actually align with our work. This session will explore the complex interplay of values in our decision making processes. Participants will leave with a perspective on the role values play in their own organization and tools to create a robust discussion of values with boards and committees. This session is designed for board members, executives, and program officers of any type of foundation. Audits, 990s, budgets, financial statements, oh my! We all know good grantmaking requires the ability to understand and analyze grantee financials, but the numbers can feel overwhelming for many non-finance experts. This session will provide a fast-paced overview of key financial documents. You will learn to spot signs of financial health and identify red flags that warrant further conversation. Participants will leave this session with an understanding of how to use financial statements to determine the financial stability of their grantees. This session is designed for executives, program staff, and grant committee members of any type of foundation. Using a “priority-based” method of portfolio management can be a game-changer in asset development. Any growing community foundation can increase their effectiveness by adopting and adapting this approach to identifying your top prospects and reaching them with your message. This presentation will cover the best practices for segmenting a database, identifying and qualifying prospects and managing lists for measurable results. In addition, learn how to create a process for customizing these strategies for your organization, ranking your prospects, and identifying the best “moves” for each prospect on your list. And, best of all, the process can be tailored to meet the needs of any community foundation, of any size or budget. This session is designed for executives and development staff of community foundations or other foundations that build assets. We all want the same things from our boards: engagement, guidance, and help with fundraising. The good news is a solution might be closer than you think. Come learn how some fundamental practices can help put your board on the path to becoming a productive partner, instead of a necessary evil. We’ll cover a lot of bases in a short time, including tips on recruitment, planning, effective meetings, board roles in fundraising, and more. Participants will leave this session with an understanding of how the executive and board can build a partnership to provide the best governance and advancement of their organization. This session is designed for executives, foundation staff, and board members of any type of foundation. A 2017 survey from Grantmakers for Effective Organizations found that 86% of staffed foundations in the U.S. provide some type of capacity building support to nonprofits through investments in things such as leadership development, fundraising capacity, or technology. This session will help you tailor your approach to build nonprofit resiliency based upon what works for you as well as for your grantees. You will hear how Indiana’s Welborn Baptist Foundation has developed an effective capacity building strategy and learn how to use GEO’s core concepts in capacity building to develop, deliver, and assess your approach to capacity building. This session is designed for staff and board members of any type of foundation. Impact and innovation often occur at the increasingly blurry boundaries between for-profit, nonprofit, and public sectors. Hear about Community Foundation of St. Joseph County’s public-private partnerships and join experts from CivicLab and Community Education Coalition as they provide principles and tools for addressing complex social problems through the practice of civic collaboration. Participants will leave this session with an understanding of CivicLab’s Stakeholder Engagement Process, as well as practical tools related to working with businesses and business leaders. This session is designed for staff and board members of any type of foundation. Data shows Indiana ranks in the bottom ten of all states in the country for economic mobility—or the ability of an individual, family, or group of people to improve (or lower) their economic status. Using the Prosperity Now Scorecard, this session outlines how economic mobility is tied to place, race, health, and employment. The data reveals startling inequalities in Indiana economic mobility and will lead to an engaging discussion on what Indiana funders can do to narrow the wealth gap and increase upward economic mobility in Indiana. Participants will leave this session with an overview of data impacting economic mobility, an understanding of the wealth gap, and strategies to consider in supporting upward economic mobility. This session is designed for staff and board members of any type of foundation wishing to impact economic stability and mobility. Investment committee members should follow a few important principles to guide their work. The goal of this workshop is to introduce these principles to foundation staff, executive directors, trustees, and investment committee members—with the goal of establishing the prudent oversight of the portfolio management process. We will discuss what really matters when making financial decisions and how to add value to the overall investment program. Topics will include identifying smart planning, creating the right culture, having a sound decision making process, and understanding your group strengths and weakness. We will also share perspectives and lessons learned. Participants will leave with guidance on meeting your fiduciary responsibility; and information on building an effective committee, conducting well-structured and productive meetings with content that matters, and anticipating and resisting counterproductive behaviors. This session is designed for foundation staff, executive directors, trustees, and investment committee members. Join us to relax after a day of learning with your colleagues. This year’s reception will include refreshments, light hors d’oeuvres, and very special entertainment surprises you won’t want to miss. Breakfast buffet opens at 7:30 am, followed by our peer roundtable discussions at 8 am. As you enjoy your breakfast, discuss collaborations, trends, and ideas to improve your work. Tables are reserved for peer conversations related to job type, funding interest, or other topics of interest or affinity. Choose your table, enjoy your breakfast, and take advantage of this open space to make connections and discuss with your peers what is important to you. Make connections with other funders supporting early childhood development initiatives and programs. Join this safe place to ask questions of your peers and discuss what it might take to implement impact investing strategies within your foundation. Share what colleagues are doing and explore ideas you can support to address the impact of these issues in your community. Share your ideas to enhance grantee effectiveness in becoming high-performing organizations, and explore your interest in being part of an ongoing learning community on this topic. Share your foundation’s strategies for staying connected with Lilly Scholars and help Indiana Humanities gather research on ways to leverage this talent pool for Indiana. Hear what foundations across the country are doing to help communities prepare for the 2020 Census in order to help ensure full funding and participation. Connect with funders supporting environmental issues and share ideas for improving impact. Is your foundation thinking about taking a position on a community issue? Join us to share ideas about a foundation’s role in policy and advocacy. Learn what Indiana foundations are doing to alleviate poverty by increasing family assets with evidence-based practices shared through the Asset Funders Network. Connect with other emerging grantmakers as you learn about Young Leaders in Philanthropy and the events they have planned for 2018. Join a conversation led by members of IBIP on how to use philanthropy to support and enrich Black communities. All are encouraged to participate. Join your foundation finance staff colleagues to discuss how you’re responding to the latest tax law changes and what’s keeping you up at night. Share your successes, challenges, and key messages that inspire donors with your peers and an expert guide in the field of fund development. Share your best ideas for communicating your foundation’s story and impact. When do you take a risk on a new idea, nonprofit, or program? When do you stop funding projects which aren’t necessarily achieving the results you expected? In this session, experienced grantmakers will share the rewards and lessons learned from taking risks in their grantmaking practices. Participants will leave this session with tips to determine when to take a risk, when to say “when,” and when to alter grantmaking practices when risks are not resulting in rewards. This session is designed for program officers, executive directors, and grant committee members of any type of foundation. Providing philanthropic opportunities for younger generations is a key factor in building a vibrant and giving community. Join staff from Indiana community foundations and YPII to learn how your foundation can take a leadership role in promoting the voice and choice of younger generations. Learn how to leverage existing partnerships by helping youth serve as advisers with local nonprofits, hear about examples of inter-generational service, and find out how you can easily implement youth philanthropy concepts into your foundation’s programs. This session is designed for staff and board members of any type of foundation wishing to enhance their community by engaging younger generations. More than 60% of net worth in the U.S. is in nonfinancial illiquid assets, creating a significant opportunity to work creatively with your donors holding these assets. Session attendees will learn how to accept and maximize the value of these nonfinancial illiquid gifts. Many organizations are beginning to realize the opportunity that exists regarding gifts of nonfinancial assets, but if they do receive them, they aren’t sure what to do next. The two distinct opportunities include accepting gifts of nonfinancial assets and investing in nonfinancial assets. You will learn how to expand gift acceptance policies to accept nonfinancial assets, streamline the gift acceptance process, navigate the risks with accepting nonfinancial asset, and offer new gift opportunities for key donors. This session is designed for executives, finance staff, development and advancement staff, and committee and board members of any type of foundation that builds assets. Speakers: Joel J. Moore, Senior Portfolio Advisor, The J&R Group, Merrill Lynch, Pierce, Fenner & Smith Inc.; Chris Aiello, J.D., National Director, The J&R Group, Merrill Lynch, Pierce, Fenner & Smith Inc. Learn about a unique collaborative, The Evaluation Exchange, from the perspective of a client, program director, foundation staff member, evaluation consultant, and executive director. Panelists will share how relationships were built and an evaluation model developed to improve data collection, management, and storytelling capabilities of a foundation and its grantee organizations. This session will outline collaborative practices to increase conversations between nonprofits and strengthen evaluation capacity. This session is designed for staff and board members of any type of foundation. Transparency can be a challenge for program officers, grant committees, and foundations. From articulating funding priorities and grant decisions to expressing concerns, grantmakers often struggle with how open they can be with their grantees. This facilitated dialogue will provide data on foundation transparency, as well as tips from your colleagues to develop an effective transparency mindset and embed appropriate transparency practices into your grantmaking strategies. 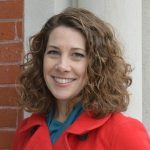 You will leave this session with an understanding of the importance of transparency in your grant making activities, as well as tips on honestly communicating with grantees regarding your funding priorities, expectations, and concerns. This session is designed for staff and board members of any type of foundation. The foundation world is changing. Pick up any copy of the Chronicle of Philanthropy and you will see articles about generational change, new forms of philanthropy, disruptive technology, etc. It’s daunting. But the foundation world is fortunate to have a new generation of creative and dedicated professionals and volunteers who will ensure philanthropy continues to be a vibrant force in our changing society. Come and hear from a panel of next generation leaders about how they view their work and the challenges and opportunities for philanthropy in the coming decades. This session is designed for staff and board members of any type of foundation. Why is professional communication often SO boring? Through this session, you’ll come to understand how a little storytelling can engage donors and stakeholders and help your foundation achieve its mission. You’ll learn to create focused, effective messages and gain tips for turning a good story into a great one. Participants are encouraged to bring a sample of their foundation’s communication as a reference during the session (You won’t need to share…unless you choose!). Everyone will leave with permission to be VIBRANT! This session is designed for staff members who are responsible for communications in any type of foundation. So, you have decided on implementing new software to manage data better and increase efficiency. Now what? 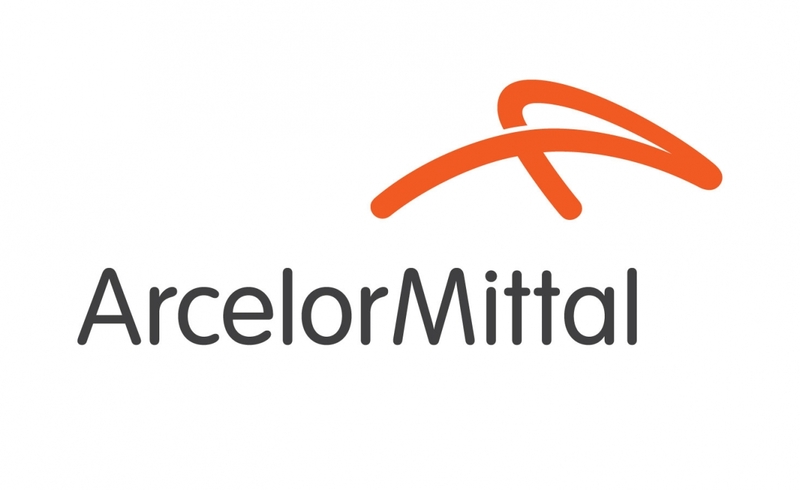 Techno-minded people can handle all kinds of data migration, but what about the human side? Conducting staff training and creating new systems can be very stressful. Getting the most out of new software requires an investment of time to make it work. Join us for a panel of colleagues who have lived through the experience and will provide perspectives ranging from best practices to “if I had it to do over again...” This session is designed for management staff or IT staff of any type of foundation. Celebrate and learn from the accomplishments of distinguished leaders impacting Indiana’s philanthropic sector. During the luncheon, we will celebrate the 2018 recipients of the Hazelett Award, Spirit of Youth Philanthropy Award, and Public Policy Champion of Philanthropy Award. We’ll end lunch with a reading of our collective poem. Poet, creative writer, and University of Indianapolis writing professor Kevin McKelvey will create this poem using attendee contributions from our poetry wall. End your day with a sweet treat—and inspirational ideas you can use—when you return to your office. During this final session, you have the opportunity to speak with experts and visit tables showcasing online resources, statewide grant programs, and data sources to support your work. Prosperity Indiana supports a network of organizations that builds vital communities and resilient families. Learn about their data collection and reporting system designed to collectively measure impact by tracking organizational outcomes/planning initiatives against community-level indicators. SAVI is a program of The Polis Center at IUPUI. Learn about their services and the many data sources they provide to organizations to enhance their planning and decision-making and ultimately improve the quality of life in the communities they serve. The Early Learning Community Coalition Toolkit was developed through Indiana’s Early Learning Advisory Committee. Learn how it supports all communities, at whatever stage of development, in their work in early childhood settings, schools, and communities. The Leap of Reason Ambassadors Community is a private community of leaders who believe performance matters. Learn about their PI—a framework to build highly effective organizations. The Alliance for Healthier Indiana is committed to improving the health of our state. Learn about their focused data resource to delve deeper in county-level data related to priority issues and to demonstrate the impact of Indiana’s low public health spending. IPA, Council of Michigan Foundations and Philanthropy Ohio are pleased to provide the Sustainability Costing Tool. Learn how community foundations may use it to generate data that will empower them to develop a path toward sustainability. Indiana Family & Social Services Administration (FSSA) will discuss their online resource developed to better understand opioid use disorders. Legacy Foundation (Lake County’s community foundation) will discuss its On the Table initiative, a one-day, county-wide conversation to generate creative solutions for a stronger Lake County. The Indiana Institute for Working Families is a program of the Indiana Community Action Association (INCAA). Learn about how they conduct research and promote public policies to help Hoosier families achieve and maintain economic self-sufficiency. Indiana AFN is a regional chapter of grantmakers (IPA is a partner) that invest in opportunities for low- and middle-income individuals/families to build economic well-being. Learn about their issue briefs created to help funders build family and individual economic stability. United Philanthropy Forum connects a diverse network of regional and national philanthropy-serving organizations to lead change and increase impact in philanthropy. Lean about its landscape scan of philanthropy serving organizations doing work to advance racial equity in philanthropy. Indiana Humanities connects people, opens minds, and enriches lives by creating and facilitating programs that encourage Hoosiers to think, read, and talk. Learn about its competitive grants program that awards funding to Indiana nonprofit organizations, schools, and other institutions. Vectren Foundation provides charitable grants to programs focused on community development, education, and energy conservation/environmental stewardship. Learn about its efforts to build affordable housing in specific communities. The Indiana Youth Institute provides capacity-building programs and resources for the state’s youth workers and nonprofit, youth-serving organizations. IYI will be showcasing several of their resources. Deadline for registration was 5 p.m. ET on June 1, 2018. If you have a question about registration, please contact Catrena Morrow at 317-630-5200, ext. 110. Through his consulting firm Leading Inside Out and his role as Senior Advisor to The Collective Impact Forum, Paul Schmitz builds the collective leadership of organizations and communities to achieve greater social impact. Paul is the author of Everyone Leads: Building Leadership from the Community Up, and the former CEO of Public Allies, where he helped more than 5,000 diverse young adults begin careers working for community and social change. Paul is a faculty member of The Asset- Based Community Development Institute, was a social innovation advisor to the Obama White House, and has been named three separate years to The Nonprofit Times list of the 50 most influential nonprofit leaders in America. He lives in Milwaukee, Wisconsin with his wife and five children. Christopher is a managing director and national sales executive within the Specialty Asset Management group at U.S. Trust, Bank of America Private Wealth Management. In this role, Chris is responsible for building and managing the sales initiative integrating the sophisticated and disciplined investment approaches of Real Estate, Timberland, Farm & Ranch, Oil & Gas, Minerals and Private Business Group solutions across all lines of business within Bank of America. He works with a team of specialty asset professionals that develop, implement, and execute these strategic non-financial assets into a broader asset allocation and investment strategy for individuals, families, and institutions. Previously, Chris was a trust consultant and senior trust advisor with Bank of America where he provided guidance in the development of estate planning and investment strategies for high-net-worth clients. Prior to joining Bank of America, he served as a corporate counsel to both Raymond James and Associates and AEGON USA in the field of securities litigation. He has also practiced law in the state of Florida and was a Portfolio Manager with Bank of New York. Chris earned his B.A. degree from Guilford College and his Juris Doctorate from Stetson University. Samantha adds a dynamic combination of training and hands-on experience in the non-profit sector to the West Foundation’s work in collaborating with high-impact, grassroots international development programs. As the foundation’s inaugural Program Officer, she is responsible for developing and supporting partnerships with its constituent organizations, as well as establishing communications with potential new partners for the gifting program. Ms. Alarie-Leca also holds an M.S. in Nonprofit Leadership from the School of Social Policy and Practice at the University of Pennsylvania, which she earned in 2013. While at Penn, she served as a Fellow for the prestigious Lipman Family Prize with the Leadership Office at the Wharton School of Business. The $100,000 prize is annually awarded to a single non-profit organization in recognition of excellence in the social sector. As a Lipman Fellow, Ms. Alarie-Leca participated with an interdisciplinary team in completing due-diligence research on candidate organizations. She also visited the 2013 winner, READ Global, to conduct field research on their operations in Nepal and co-authored a case study analyzing and documenting the best practices of their model. Michelle is Director of Financial Stability at United Way of Central Indiana. 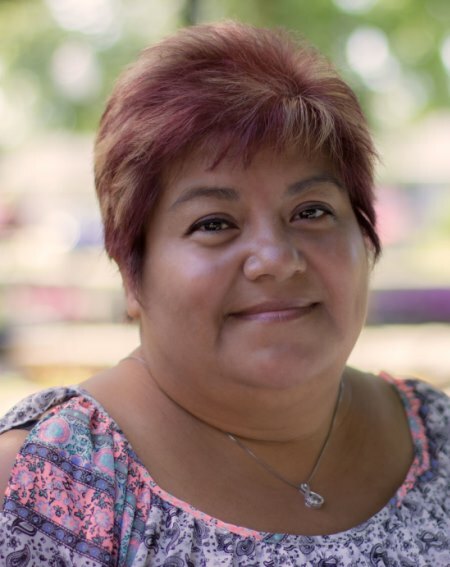 As a leader on the Community Impact team, she has worked with various community-wide initiatives focused on financial capability for vulnerable populations, including providing oversight to the local Centers for Working Families network. 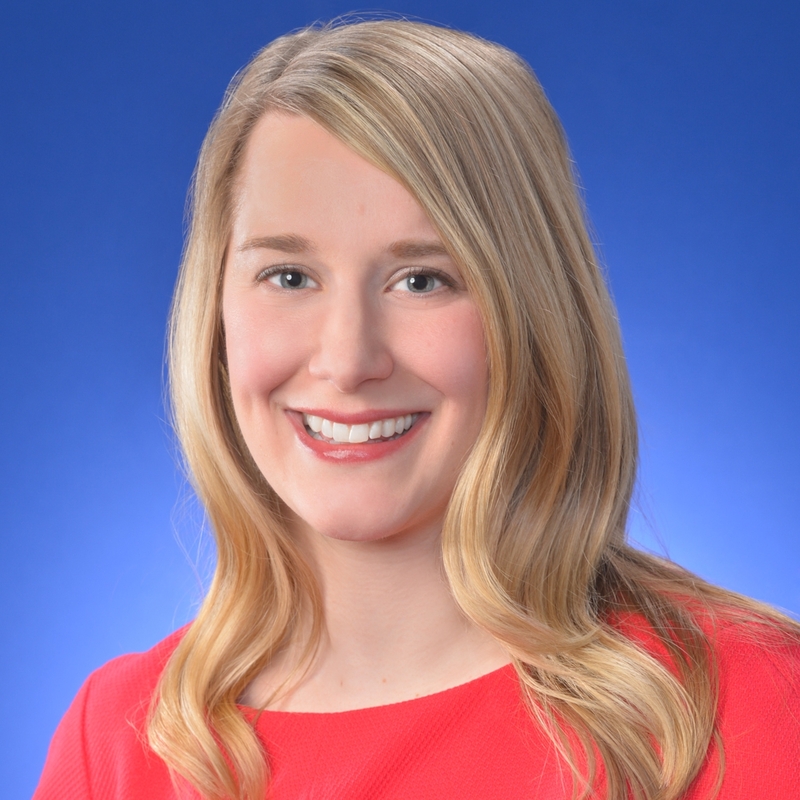 She currently co-chairs the Indianapolis Asset Building Coalition and serves on steering committees for the Indiana chapter of the Asset Funders Network and the Indiana Assets and Opportunity Network. Michelle is also a member of the local Volunteer Income Tax Assistance (VITA) Advisory Board. 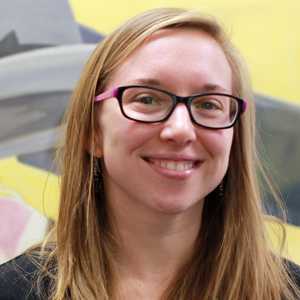 In addition to her work with asset building initiatives, Michelle has several years of experience in grant writing and administration, program and organizational evaluation, and volunteer management. Michelle holds a Masters of Social Work from Indiana University Indianapolis and a Bachelors of Social Work from Ball State University. 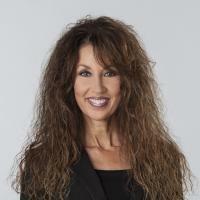 Michelle is a 2013 graduate of the Leadership United Executive Women’s Leadership Series. Having supported and collaborated with foundations for 20 years, Sara has a deep knowledge of the legal, administrative, governance, and grantmaking functions of foundations. She brings an innate sense of what is practical when working with clients on strategic research and planning; grant program development; family and board engagement and succession; and retreat and meeting facilitation. Sara also understands the deeper work that revolves around managing change and building consensus among boards, staff, and communities. Prior to 2016, Sara shared her time between Intentional Philanthropy and Exponent Philanthropy where she served in senior positions for 15 years. Most recently, she has focused her energy on helping funders achieve impact and engage in evaluation. Prior to the impact work, she authored several publications including The Foundation Guidebook, The Trustee Handbook, and several legal primers. Sara’s prior work was in the field of community and economic development, after receiving her BA with honors in economics from Boston College. Steve’s career includes 20 years with a small, but nationally prominent fundraising counsel to not-for-profit organizations. In that time he worked with dozens of organizations engaged in local, regional, national, and international capital campaigns, and eventually became responsible for the day-to-day financial operations of the firm. In 2002, he assumed the position of chief operating officer for the Indiana Humanities Council. Three years later, Steve took the position of executive director of the Wayne County Foundation. He is an honors graduate of the Ohio State University with a degree in the liberal arts. 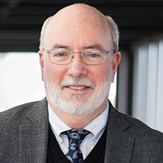 John serves as President and Chief Executive Officer of the Community Education Coalition (CEC) of Columbus, Indiana. The 20-year-old CEC is a nationally recognized not-for-profit organization committed to the development of an aligned, high quality community learning system supporting learners of all ages. Burnett is a founder of Southeastern Indiana’s EcO Network (Economic Opportunities through Education). 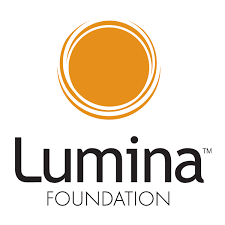 The 10-year-old network was initially funded by more than $80 million in grants, including $43 million from Lilly Endowment Inc., and major funding by Cummins Foundation, Indiana’s Department of Workforce Development, and Lumina Foundation. The EcO Network program and services have achieved a high level of sustainability through K-12 and post-secondary education partners, industry, and community partners. 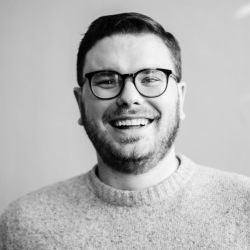 As a member of CEC’s CivicLab (an institute for civic collaboration) he serves on the national team which supports Lumina Foundation’s Talent Hub mobilization strategy. 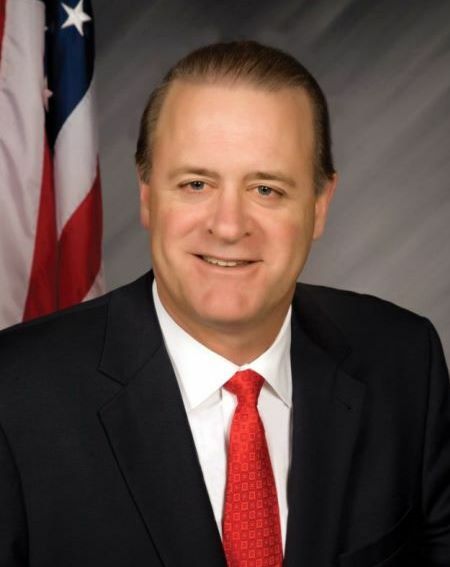 Burnett previously served as President of the Irwin Financial Foundation, owned a successful Adecco Personnel Services business in Buffalo, New York, and served as a human resource executive at Cummins Engine Company. Born and raised in Fort Wayne, Indiana, a single mother of four children, Michelle has been affiliated with The Rescue Mission for 14 years. Ten years ago, she started working part time as a third shift resident care staff at Charis House. Nine years ago, she was given the opportunity to come on full-time and was given the position of Intake Coordinator. Upon returning to school, Michelle added Case Manager to her job responsibilities. Two years ago she took on the position of Executive Assistant to the Vice President of Programs. Graduating from Indiana Tech with a BS in Human Services, she is now the Program Coordinator at The Rescue Mission. Administration at Hillsdale College, Jennifer found herself running a campus and community organization in her spare time. Through the encouragement of a mentor, she decided to pursue her passion for nonprofit work and attended the Center on Philanthropy (now Indiana University Lilly Family School of Philanthropy) for her Master of Arts degree in Philanthropic Studies. 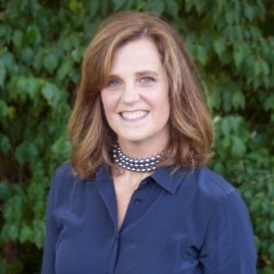 During her time in Indianapolis, Jennifer earned her CFRE (Certified Fund Raising Executive), Nonprofit Management Certificate, and Certificate in Fundraising Management. After spending a few years at the Goodwill Industries Foundation, Jennifer transitioned to her role at SCCF when their family moved back to Angola. As a bilingual executive-level public service and non-profit professional, Marlene Dotson holds more than 17 years of experience in a wide range of roles, both in the public and nonprofit sectors. 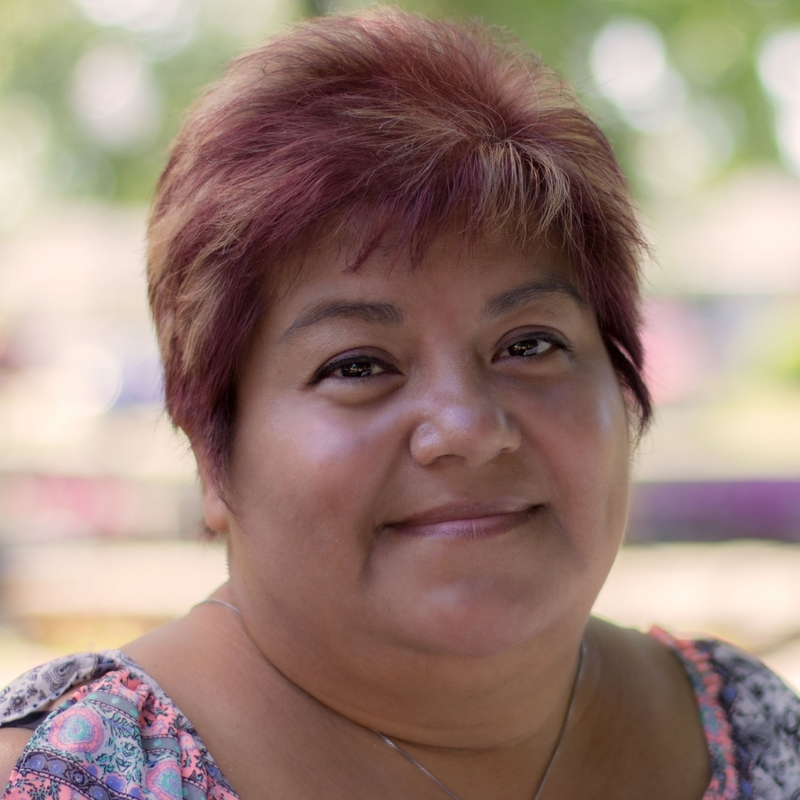 For the past seventeen years, Mrs. Dotson has dedicated her time to working with the Latino community of Indiana, focusing on education, women’s issues and immigration policy. Mrs. Dotson earned her Masters of Public Affairs from the School of Public and Environmental Affairs (SPEA) at Indiana University. She earned her Bachelor of Business Administration from the University Federico Villarreal of Peru. Maria started her career with La Porte Hospital in 1996 as the Director of Development. In January of 1998, she was named Chief Operating Officer of the La Porte Hospital Foundation and Executive Vice President of La Porte Hospital. She provided overall coordination for all aspects of The Foundation’s important role. 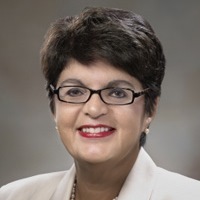 She also served as the administrator of several support service departments of the hospital (2011 to 2016) and Community Health and Dental Center (2011 to 2014). Her career with La Porte Hospital and the Foundation followed many years of teaching, community service and business experience. She received her Bachelor of Arts from the University Federal Minas Gerais, in Brazil. Mrs. Fruth is a member of the Association for Healthcare Philanthropy, Association of Fundraising Professionals and Council on Foundations. In 1999, she received her Certification in Fund Raising Management from Indiana University Center on Philanthropy, Fund Raising School. She has served on many not for profit boards in the La Porte area. Maria has resided in La Porte with her husband Greg since 1976 and they have three sons and two grandchildren. As Director of Strategic Partnerships, Suzy Goelzer is responsible for managing and developing long-standing relationships with the firm’s institutional clients and prospects. These relationships include endowments and foundations, pension plans, and not-for-profit organizations that have entrusted Goelzer Investment Management to manage their portfolios. 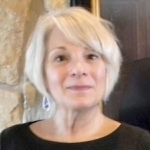 With more than 25 years of prior business experience managing key account relationships with Fortune 500 companies, Suzy’s expertise is in creating educational campaigns that help investment boards and committees understand the complexities of serving as fiduciaries, as well as the benefits of building effective relationships with the portfolio managers who serve them. 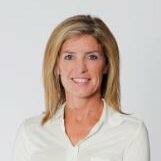 By providing creative, practical, and added-value ideas, Suzy expanded her industry reputation as a trusted advisor to a growing group of institutional investors. Suzy is a graduate of DePauw University where she earned a B.A. degree in English Literature. 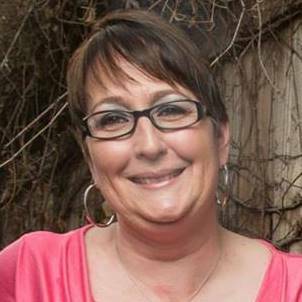 Crystal joined the Community Foundation of Southern Indiana in August 2011. She currently serves as the Director of Community Philanthropy for the Foundation. In this role she implements and oversees the grant-making philosophy and associated activities of the Foundation and provides direction and support to the Foundation’s grant and scholarship programs. In addition, she plays a major role in the Foundation’s outreach and community leadership efforts, representing the Foundation publicly, and implementing strategic initiatives related to the Foundation’s role as a community catalyst and convener. Through her role at the Foundation she plays a leadership role with many community philanthropic initiatives including Education Matters Southern Indiana, Align Southern Indiana, Women’s Foundation Southern Indiana, Youth Philanthropy Council, Ivy Tech Women’s Philanthropy Program, and Leadership Southern Indiana NexGen Program. Amy is the Executive Director of the Blue River Community Foundation in Shelby County, Indiana. Prior to joining the foundation in 2012, she served as the City of Shelbyville’s Redevelopment Director in role that involved both financing large municipal projects and promoting community development and grantwriting. A primary interest since joining the foundation has been to create meaningful working relationships between sectors, with the understanding that we are often working toward the same goals, and can bring our talents and resources to the table to get more done through partnerships. Amy received her BS degree from Purdue University in Environmental Science and her Masters degree from Duke University in Environmental Management. Prior to moving to Shelbyville, she was an environmental scientist for an engineering firm in NY. Neel joined the Ann Arbor Area Community Foundation (AAACF) in 2010, and became its CEO in 2015. Under Neel's leadership, AAACF and its partners received a national award for "Coordinated Funding," a broad public-private partnership to strengthen the local safety net. AAACF was also named 2016's fastest growing foundation in southeast Michigan by Crain's Detroit. 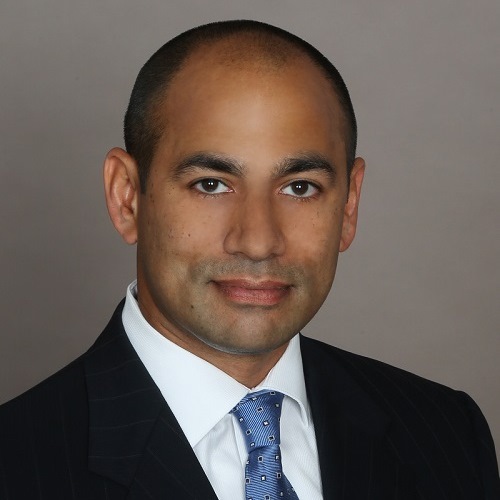 Neel previously served as CEO of Nonprofit Enterprise Work and corporate attorney at Ford Motor Company. For the past decade Neel has taught a graduate course on nonprofit policy and management at the University of Michigan Ford School of Public Policy, and has been named to its teaching honor roll on numerous occasions. He’s been recognized nationally for his nonprofit leadership through two fellowships with the Independent Sector and American Express. Neel holds two degrees from Michigan: a BS with distinction in physics, and in honor of Newton’s third law, he then became a lawyer. 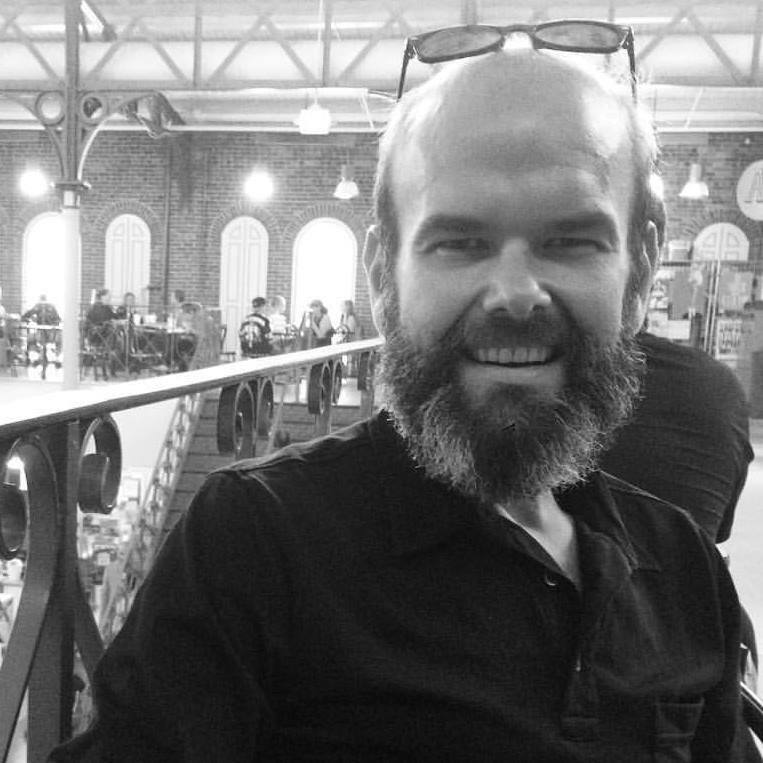 Jack is the Executive Director of CivicLab—an institute dedicated to advancing the practice of civic collaboration. CivicLab’s approach is to learn what makes community collaboration work at its best, document the discoveries, and teach and share the practices broadly. Prior to his work with CivicLab, he was the President of the Columbus Area Chamber of Commerce where he set in place an aggressive strategy of building on the power of place, increasing member engagement, and promoting the principles of entrepreneurship and innovation. Within two years of implementing its new strategic plan, the Columbus Chamber was named the Indiana Chamber of the Year in 2008. One year later, the American Chamber of Commerce Executives (ACCE) presented the Columbus Chamber with the National Chamber of the Year Award. While at the Chamber, he helped to champion a number of collaborative projects including the state-of-the-art Advanced Manufacturing Center of Excellence, the formation of a regional learning system through Economic Opportunities 2015, an online training academy for entrepreneurs called SmallBizU, the Indiana University Center for Art+Design, and the formation of the downtown Columbus Arts District. 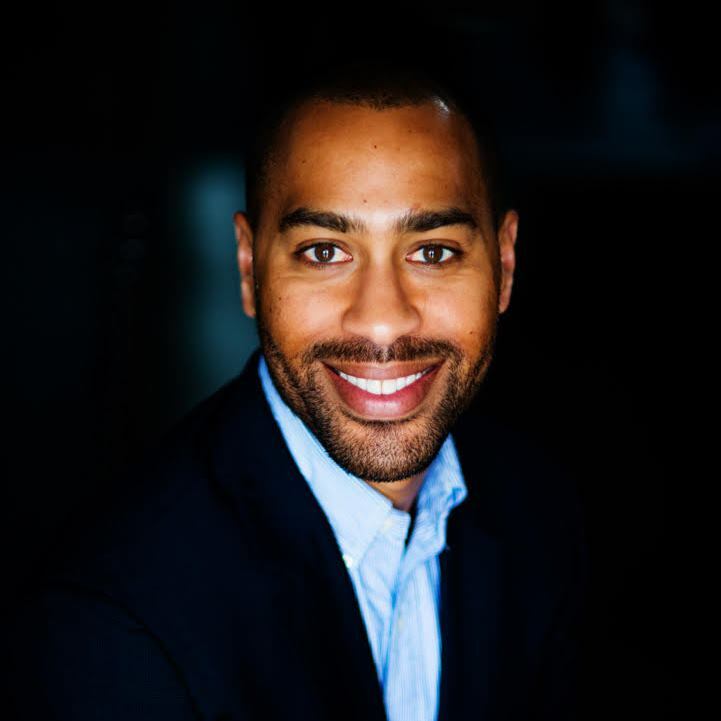 Eric started working with the Community Foundation in 2003 as a youth grantmaker and has since worked in both the direct service and funding areas of nonprofits. Prior to joining HCCF full time, Hessel worked in youth programming and with the US Census Bureau, in addition to building relationships in the local community that assist in strategic and effective grantmaking decisions. Hessel, who grew up in Pittsboro, currently lives in downtown Indianapolis with his rescue dachshund. Laura is the Clinical Director for Lutheran Social Services of Indiana where she has served for the past six years. She is a Licensed Clinical Social Worker, Licensed Clinical Addictions Counselor, and Certified EMDR Therapist with over 20 years of social work experience. Laura was the regional recipient of the National Association of Social Workers -2016 Social Worker of the Year Award. She has served as adjunct faculty for Indiana University’s Masters of Social Work program teaching social work practice and community mental health. Laura has a passion for serving her community’s most vulnerable members and believes in the power of relationship. Brienne H ooker, Director Jasper Newton Foundation Inc.
Brienne came to the community foundation world just 2 years ago and jumped into the deep end of the pool with no arm floaties on. She fell in love with her community foundation as a volunteer in college, taking staff and grant recipient photos for annual reports, and interning for the arts organization that lives upstairs in the foundation's office building. Brienne enjoys the everyday challenges and joys that working with the community foundation can bring. She welcomes the opportunity to be aware of the deep needs as well as the super heroes of the communities she serves. Brienne has spent her first two years spreading the message of #LoveWhereYouLive to the Jasper and Newton county area and plans to keep learning and build up the community foundation to be the "Grand Central Station" of partnership, support, and connection for local donors and nonprofits. New enough to the field to still have stars in her eyes; Brienne secretly wants to accomplish something so amazing in her community that Oprah will call her for an interview. Chad currently serves as the Education Program Officer for the Tipton County Foundation in Tipton, Indiana. Chad is 28, and a native of the county in which he lives and works. 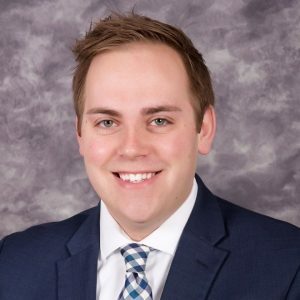 He earned his BA in Public Relations from Ball State in 2012, and has been involved personally and professionally with community benefit organizations since 2007. In his current role, his focus is on the improvement of the educational state of the Foundation’s service area through scholarship administration, community programs, and research. As senior vice president, Don leads Goelzer Investment Management’s Institutional Advisory Group and is a member of the firm’s Executive Management and Investment Policy Committees. With more than 23 years of financial industry experience, Don has achieved a long record in managing institutional, OCIO, and HNW private client portfolios. Before joining Goelzer Investment Management in 2007, Don was a Managing Director and Senior Vice President at JPMorgan. He also served as an Institutional Investment Consultant at Merrill Lynch & Co., Inc., where he co-managed larger institutional client portfolios. Don is a licensed International Financial Analyst. He earned a Bachelor of Science in Financial Planning from Purdue University. He is founding Board Member and the Treasurer for New York based Cookies for Kid’s Cancer Foundation and serves on the Board of Cornea Research Foundation of America. Wyatt is president and CEO of the Community Foundation of Southern Wisconsin. Prior to this position, Wyatt served the Community Foundation of Crawford County (CFCC) in southern Indiana as the Programs and Operations Manager. He also has served as the CFCC Interim Director, Dubois County Community Foundation Lilly Endowment Graduate Intern, an assistant to the Indiana University Foundation President, intern within IU Foundation’s Corporate Relations Department, and member of the IU Student Foundation’s Little 500 Steering Committee. He has served on the Indiana University – Purdue University Indianapolis Division of Student Affairs development team and brings experience in nonprofit curriculum and development from the Lilly Family School of Philanthropy’s The Fundraising School. 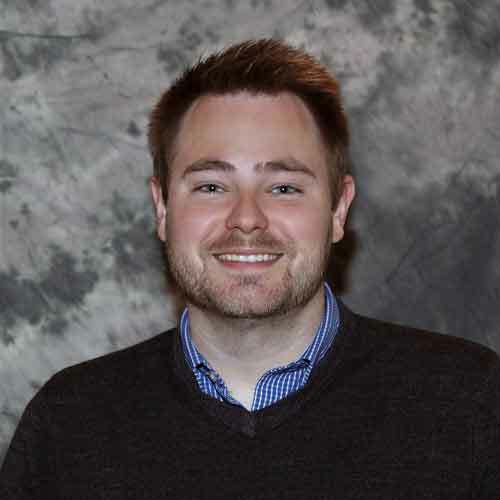 Wyatt is currently a doctoral student with the Indiana University School of Education’s Higher Education Administration and Student Affairs Program. He holds a Master of Arts in Philanthropic Studies from Indiana University – Purdue University Indianapolis, as well as a Bachelor Arts in Anthropology and a Bachelor of Science in Human Biology from Indiana University – Bloomington. Jennifer is the Executive Director of Wellspring Interfaith Social Services. 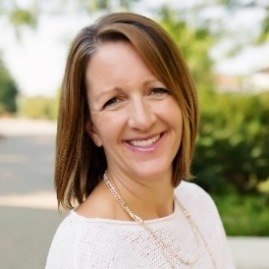 Her background includes earning a Human Services degree from Indiana University Purdue University Fort Wayne in 2012 and her Certificate in Executive Nonprofit Leadership from the Indiana University Lilly Family School of Philanthropy in 2017. Jennifer’s professional and volunteer experiences are concentrated in the nonprofit field. She has worked with a variety of organizations in DeKalb County and Allen County through internships, employment and Board service. Jennifer is passionate about evaluation, servant leadership, and changing the world! David is the Karen Lake Buttrey Director of Lake Institute on Faith & Giving as well as Assistant Professor of Philanthropic Studies within the Indiana University Lilly Family School of Philanthropy. He arrived at IUPUI in 2014 after serving as Assistant Professor of Christian History at Memphis Theological Seminary in Memphis,TN. He earned his Ph.D. from Emory University with a specific interest in American religious history and its intersections with the growing field of world Christianity. His recent research focuses on the rise of evangelical relief and development NGOs, religious humanitarianism, and religion’s engagement with international affairs. He is passionate about research and teaching but as an ordained minister having served local churches and national faith-based organizations, he is also fueled by facilitating conversations with faith leaders, donors, and fundraisers (of all generations) around the intersections of faith and giving. 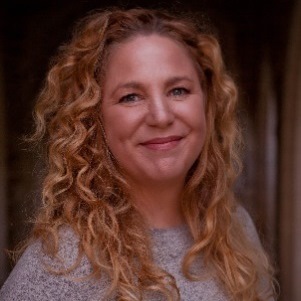 Mindy, founder and president of Limelight Analytics, has worked as a program evaluator for 18 years, with expertise evaluating afterschool programs, early childhood environments, and healthy community initiatives. Prior to opening her own evaluation and assessment company, Dr. Hightower King served as a Research Scientist for the Center of Education and Lifelong Learning at Indiana University and the Director of Research and Policy Analysis at the Indiana Youth Institute. She currently holds an adjunct appointment in the School of Public and Environmental Affairs (SPEA) at Indiana University where she teaches courses on evaluation and performance. Dr. Hightower King earned her Ph.D. in Health Psychology from the University of California, Irvine and her BA in Psychology from the University of California, Los Angeles. Marc McAleavey is known for often quoting the African proverb “When spider webs unite, they can tie up a lion”. This sense of collaboration and service has driven his work of nearly two decades as a community and organizational leader. Prior to joining Serve Indiana as their executive director, Marc served as the founding executive director of Playworks Indiana and, prior to that, the founding executive director of Public Allies Indianapolis at the Indianapolis Neighborhood Resource Center, where he also served as the evaluation and documentation manager. McAleavey founded The Zawadi Exchange, an Asset Based Community Development organization in Indianapolis’ Mapleton-Fall Creek Neighborhood. Marc formerly served as chair of the Board of Directors for Broadway United Methodist Church, member of the Board of Directors for Mapleton-Fall Creek Community Development Corporation, member of the Board of Visitors at Marion University School of Education, and the Indiana University School of Social Work Alumni Association Board of Directors. He currently serves as board president for the Crooked Creek Community Development Corporation’s Board of Directors, board member for the Tamerlaine Farm Animal Sanctuary in New Jersey, as well as secretary of the Board of Directors for the Indiana Afterschool Network. McAleavey has provided keynote addresses for numerous gatherings, authored articles and book chapters, and routinely presents at conferences and symposia. He has a Bachelor of Arts Degree in Philosophy from Indiana University as well as a Master of Social Work degree from the Indiana University School of Social Work, where he is an Adjunct Professor. Marc lives near downtown Indianapolis with his wife and two young children where they love to run, play baseball, and sing and dance after dinner. A Chartered Advisor in Philanthropy®, Tony consults with donor families, grantmakers, and their advisors and associations about purpose, use of resources, action planning, and learning. In four years as executive director of the Roy A. Hunt Foundation, he facilitated changes in visioning, impact investing, grantmaking, trustee education, and operations for a multi-generation family. 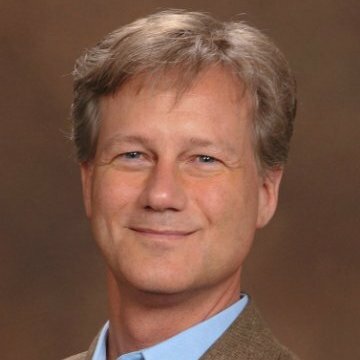 In twelve years and four roles at the Central Indiana Community Foundation, he led grantmaking and community change initiatives, advised generous entrepreneurs and families on philanthropic tools and strategy, attracted $39 million in assets and co-investments, and co-founded a social enterprise. Based in Fort Wayne, IN, Tony is a Senior Advisor to the Impact Finance Center, Associate with Ekstrom Alley Clontz & Associates, and consultant with the National Center for Family Philanthropy's community foundation network. He’s volunteered for more committees, task forces, and boards than he can remember. Dawn has been with the Foellinger Foundation since 1990 and has served as the Senior Program Officer since 2002. Dawn provides the lead staff support for the program operations of the Foundation and monitors the grant administrative processes. In addition, she is responsible for the implementation of the Foundation’s evaluation strategy. Prior to joining the Foundation, Dawn was the Financial Development Director for the YWCA and worked in Economic Development for the City of Fort Wayne. Dawn earned her B.A. in Business and her M.S. in Education from Indiana University. 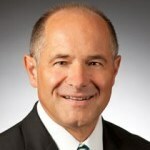 Brett joined Goelzer Investment Management in 1990 and became President and Chief Operating Officer in 2003. 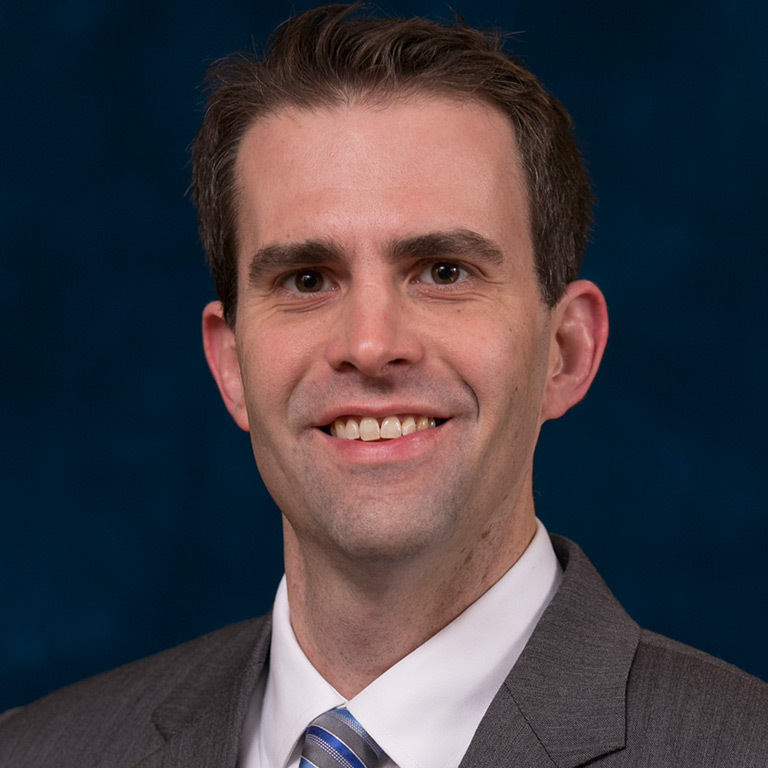 A member of Goelzer’s Executive Management Committee, Brett also serves as Chairman of the Investment Policy Committee, a member of the Account Review Committee, and as trustee of the firm’s Employee Stock Ownership Plan (ESOP). Prior to joining Goelzer Investment Management, Brett served as a Financial Consultant with Shearson Lehman. He began his business career with InterFirst Bank of Dallas, serving in both Dallas, Texas and London, England. 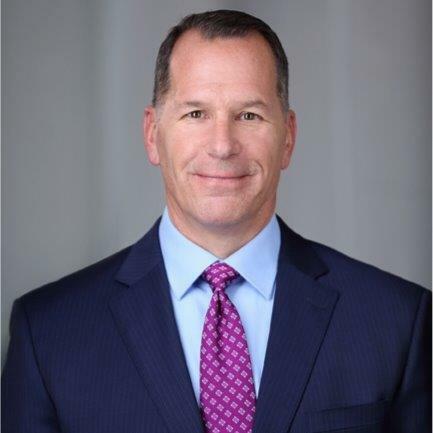 Brett graduated from Indiana University in 1985 with a Bachelor of Science degree in Finance and later earned the Chartered Financial Analyst (“CFA”) designation. He is an active member of the CFA Society of Indianapolis. 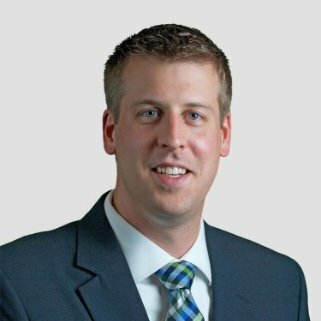 Brett is a recipient of the 2000 Indianapolis Business Journal’s “40 Under Forty” award, recognizing his achievements as a business and professional leader in the Indianapolis area. Brett has long been active in civic, educational, and philanthropic organizations including the following: Indiana Chapter of The Nature Conservancy, Lincoln Collection Foundation, Indiana Landmarks Foundation, Indiana University School of Medicine Planned Giving Committee, Indiana University Kelly School of Business Dean’s Council, and Booth Tarkington Civic Theater's Board of Trustees. Rose joined the Community Foundation of St. Joseph County when it was established in 1992. Under her leadership, the Foundation has grown to be one of the top 100 community foundations in the United States. 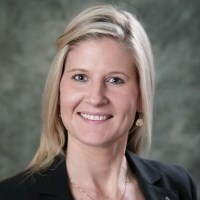 Meissner holds an MBA from Indiana University’s Kelley School of Business, and a MA in English Literature, and a BA in Economics from the University of Notre Dame. 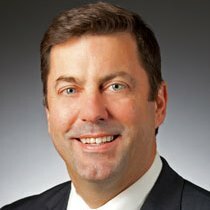 Joel joined Merrill Lynch in 2015, after 12 years with Morgan Stanley. He provides investment consulting services to institutions and families. His experience includes assisting clients with wealth management strategies, asset allocation, investment manager research, donor education, donor development, and overall relationship management. His other area of interest includes sustainable impact investing strategies, where he facilitates client education, thought leadership and portfolio implementation. Joel graduated from Rockford University in 2000 with a Bachelor of Science degree. Joel serves on the Rockford University board of trustees, investment committee and human resources committee. He has volunteered on various committees with Forefront Illinois, Indiana Philanthropy Alliance, and the Sustainable Local Food Investment Group (SLoFIG). Joel lives in Chicago with his wife, Brooke, and two young daughters, Ava and Londyn. He spends his free time with family, enjoying the city and visiting relatives throughout the upper Midwest. Doran serves as Executive Director of Statewide Diversity & Community Engagement for Ivy Tech Community College. Previously, he worked in the offices of United States Senator Evan Bayh and Indianapolis Mayor Bart Peterson. His education policy experiences include EdChoice, an education think tank and Rocketship Education, a kindergarten through 5th grade charter school operator. Doran serves as board chair for RecycleForce, a social enterprise focused on reentry for formerly incarcerated individuals. He also serves on the boards of Indiana Humanities, Indianapolis Chamber of Commerce, and United Way of Central Indiana. Doran graduated from Indiana University with a degree in political science and is pursuing a PhD in American studies from Indiana University-Purdue University Indianapolis. Candice began her nonprofit career in 1993 with Albion Fellows Bacon Center, a domestic and sexual violence shelter/advocacy center in Evansville, IN. While spending 23 years at Albion, Candice spent 15 years supplying direct services to victims. As a Legal Advocacy Program Coordinator, she collaboratively worked with multi-sector leaders in the legal, medical and social service systems. Transitioning to Albion’s Executive Director in 2008, she remained a steadfast advocate for abuse victims and abuse prevention while leading the organization to increased funding levels, program development, and operational expansion. 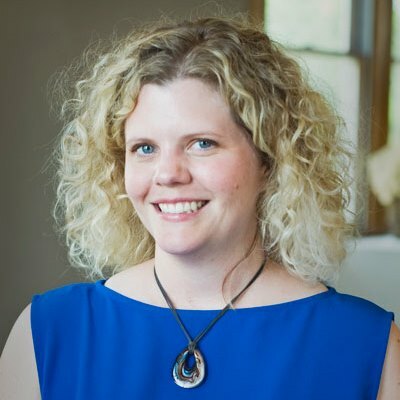 In 2016, Candice joined the Welborn Baptist Foundation as the Nonprofit Excellence program officer, tasked with building capacity among nonprofits in the areas of Next Generation Leadership and Organizational Effectiveness. With a social service and Psychology emphasis, Candice attended the University of Maryland, Asian Division, Yokota Air Force Base, Japan and graduated from the University of Southern Indiana. She holds certificates from the Fundraising School, IU SPEA and is a past ATHENA Leadership Award nominee- displaying contributions of leadership such as living authentically, learning constantly, advocating fiercely, acting courageously, fostering collaboration, building relationships, giving back and celebrating. Brittany is working to cultivate new and existing relationships with donors and professional advisors in Hamilton County. Prior to her position at Legacy Fund, Brittany served as a part of CICF’s community investment team. Her portfolio included the issues of food insecurity, nutrition, health care and scholarships, working primarily with donors and selection committee members. She also worked closely with organizations exclusively serving Hamilton County as the community investment officer for Legacy Fund’s competitive grant process. Rayburn also facilitated LINK Advisory Council and Carmel Green Teen, both youth-led grant-making programs of Legacy Fund. Brittany has a master’s in nonprofit management from IUPUI and while in school, worked as a graduate assistant for CICF. 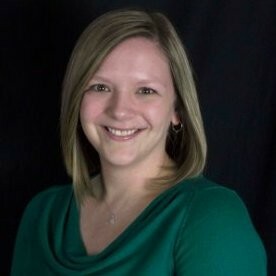 Brittany currently serves on the board of Hamilton County Purdue Extension, Association of Fundraising Professionals Indiana Chapter, and graduated from Hamilton County Leadership Academy in 2016. Kimberly is a program officer at the Dekko Foundation in Kendallville, Indiana, but perhaps a more appropriate title for her is “paradigm changer” as she works to fulfill the foundation’s mission of helping young people grow up to be economically free. She is a graduate of the School of Optometry at Indiana University, and went on to a successful career as a store manager and trainer for Pearle Vision, serving the company in Bloomington, Indiana, Springfield, Missouri, and Cleveland, Ohio. An Indiana native, she began working at the Dekko Foundation in March 1999 as a 7 Habits trainer as well as overseeing the foundation’s youth philanthropy efforts and serving as a program officer. During her 19 years with the foundation, the number of its youth philanthropy groups has grown from six to 13, and she’s been instrumental in creating and leading the foundation’s proactive grantmaking initiatives, including before5, a mentoring program for parents of young children, and bloom!, which helps educators transform their classrooms to provide rich learning environments for children. She and her husband live in Kendallville and have two daughters. 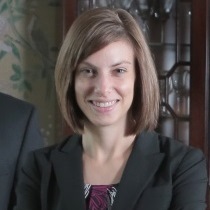 Kristen is senior manager in the office of the president at Grantmakers for Effective Organizations. 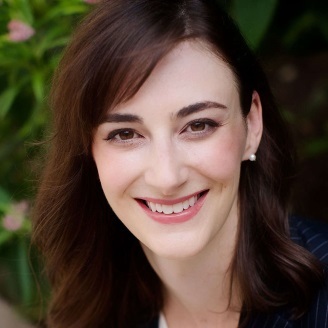 In her position, Kristen supports the priorities of the president and CEO, facilitates the work of GEO’s Board of Directors, manages place based partnerships in California and North Carolina, and conducts research and develops programming on emerging topics in philanthropy. Previously, Kristen worked for the U.S. Overseas Cooperative Development Council, a membership organization that promotes the use of cooperatives as a development paradigm. For four years she was managing director at The Bhutan Canada Foundation, a Canadian charitable organization dedicated to improving education in the Kingdom of Bhutan. Kristen began her career in communications and operations at The Unusual Suspects Theater Company in Los Angeles before working in fundraising at The Lucile Packard Foundation for Children’s Health in Palo Alto, CA and Macmillan Cancer Support in London, UK. Kristen received her master of public administration from American University’s School of Public Affairs. She is an alumna of the University of Southern California and a recipient of the Nonprofit Executive Scholarship at the Richard Ivey School of Business. Lebaron is Senior Research Manager at Prosperity Now. As a member of the Applied Research team, Lebaron is one of the leads on the Prosperity Now Scorecard, providing data analysis, visualization and writing support for the initiative. He also provides analysis for Prosperity Now policy and programs teams, and for the Prosperity Now Community. 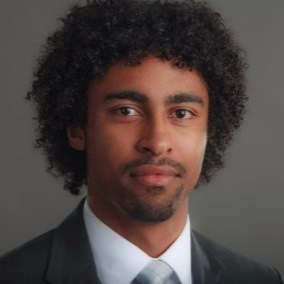 Previously, Lebaron was a Research Associate at LISC MetroEdge in Chicago, IL, where he provided technical support, analysis, and data visualization for local economic development initiatives in cities across the country. Lebaron holds an M.A. in Urban Affairs from Loyola University Chicago, and a B.A. in Economics from California State University, Fresno. Sharon retired from the Dekko Foundation earlier this year, after 20 years serving in the roles of Communications Director and Program Director. Prior to joining the Dekko Foundation, she was the executive director of the Whitley County Communication Foundation from 1991-97. Sharon holds a BS in journalism and has been a communications specialist in both consultant and staff roles for numerous nonprofit and for-profit businesses. Sharon served on the IPA Board of Directors and Co-Chair of the Member Services Committee. 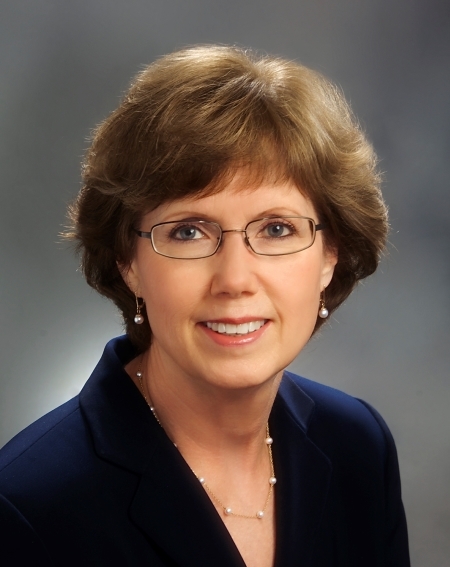 Linda is the President & CEO of the Community Foundation of Southern Indiana. She has sixteen years of experience in the community foundation field. 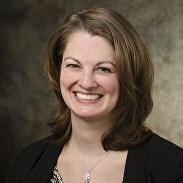 Before joining CFSI, her nonprofit work experience includes serving as the Vice President of Development & Stewardship for the Community Foundation of Louisville, Vice President of Gift and Trust Administration for the Presbyterian Church (USA) Foundation, and Director of the Samuel L. Greenebaum Public Service Program at the Brandeis School of Law at the University of Louisville. She is a former litigation attorney with the Louisville law firm of Frost Brown Todd. She received her B.S. from the University of Kentucky and J.D. from the Vanderbilt University School of Law. 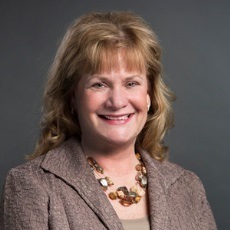 Linda serves on the boards of the Indiana Philanthropy Alliance (Vice-Chair) and the Louisville, Kentucky-based Center for Nonprofit Excellence. 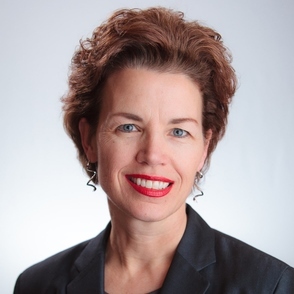 She is a member and Past President of the Southern Indiana Estate Planning Council, the Kentuckiana Partnership for Philanthropic Planning and the Fund Raising Executives of Metro Louisville, and she is a member of the Estate Planning Council of Metro Louisville. Nicole currently manages Strada Education Network’s strategic philanthropy program. In her role, Thompson collaborates with executive leadership to set the national nonprofit’s overarching philanthropic strategy and oversees its grant-making process and analysis. Formerly, she served as president and CEO of EmployIndy, having been promoted from chief operating officer and serving previously as vice president of development and administration. In addition, she previously worked for the State of Indiana’s Department of Workforce Development and Bureau of Motor Vehicles. Thompson has a successful track record for securing federal and non-federal funding, managing departmental budgets, establishing effective policy and procedure and initiating, and developing and implementing project plans. She holds a bachelor’s degree from Indiana University. 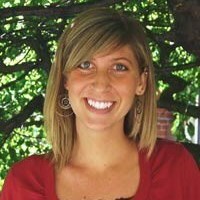 Jenna is a program officer with Ball Brothers Foundation, a family foundation based in Muncie. 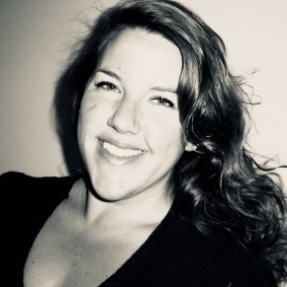 She joined the foundation staff in 2014 after working for social service agencies in Indianapolis, Saint Louis, and Washington, D.C. Jenna completed her Master’s Degree in Philanthropic Studies at the IU Lilly Family School of Philanthropy where she focused her studies on foundation giving. She writes occasional blogs for Exponent Philanthropy where she also completed the Next Gen program in 2016. Stephen serves as the Senior Information Systems Auditor at Ball State University where he works with the University to assess the impact of information system controls on financial reporting. 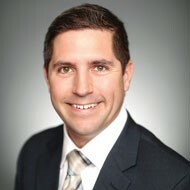 Previously, Stephen held the role of Senior Manager at CapinCrouse, a national public accounting firm, where he spent 10 years focused on the nonprofit industry, providing financial reporting and information technology assurance and consulting services to many types of organizations including colleges and universities, foundations, social service agencies, and global mission organizations. His experience affords him a unique perspective on nonprofit financial reporting and information technology/systems impacting financial reporting. He holds professional certifications including the CPA, CITP, and CISA. 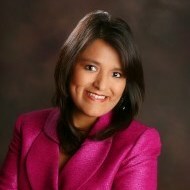 Margarita is the Program Director for the Community Foundation of Noble County. She oversees the grantmaking activities of the foundation, and provides direction, and support for the foundation’s various grantmaking programs. Margarita empowers the next generation of philanthropists through her role as the Navigator for PULSE, the foundation’s youth philanthropy group, and her leadership of the Teens on Boards Program. 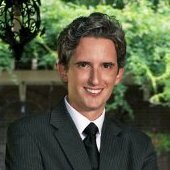 Kenton Wooden joined the Community Foundation of Southern Indiana in 2013 and serves as the Director of Community Outreach. Sharing the Foundation’s story through marketing and development efforts, Kenton helps connect people to the causes they care most about. After graduating from Ball State University he worked in advertising at the Courier-Journal and then transitioned to public service, becoming the Southeast Regional Director for US Senator Evan Bayh until his retirement. Before joining the Community Foundation, Kenton served as Director of Development at New Hope Services. 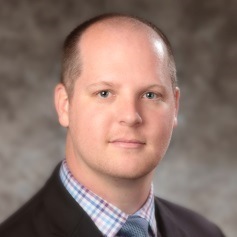 Kenton is a member of the Jeffersonville Rotary Club, Fund Raising Executives of Southern Indiana, serves on the Falls of the Ohio Leadership Council and planning committee for Leadership Southern Indiana. Kenton has been recognized as a volunteer of the year from Leadership Sothern Indiana and was selected as one of Southern Indiana Business Source Magazine’s 20 Under 40. Indianapolis Marriott North provides for your effortless stay. 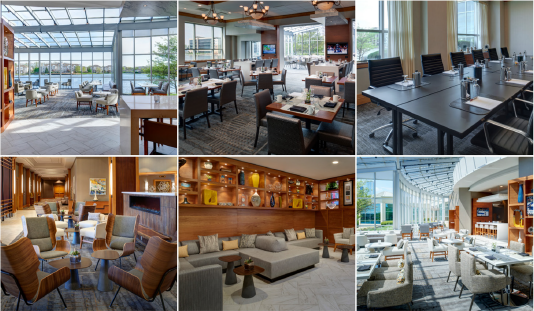 Delight in easy access to an array of Northside attractions including the city of Carmel, Grand Park sports complex and the Indianapolis Museum of Art. We are also within walking distance of Keystone Crossing shopping and business district. Book your room now to receive the discounted rate of $164 per night. This rate will be available until Wednesday, May 23, but may sell out earlier. To book a room, use the link below or call 1-317-705-0000 and mention you are booking as part of the 2018 IPA Conference block. The attendee roster is restricted to members of the IPA and conference registrants. Please login to view it.